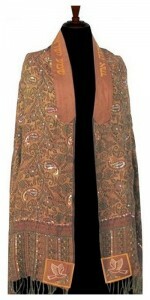 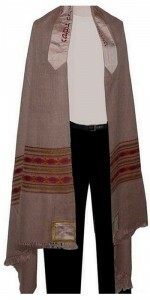 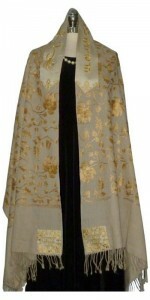 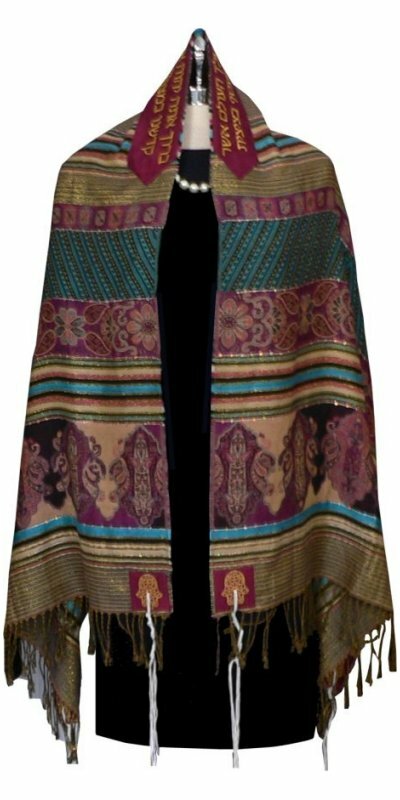 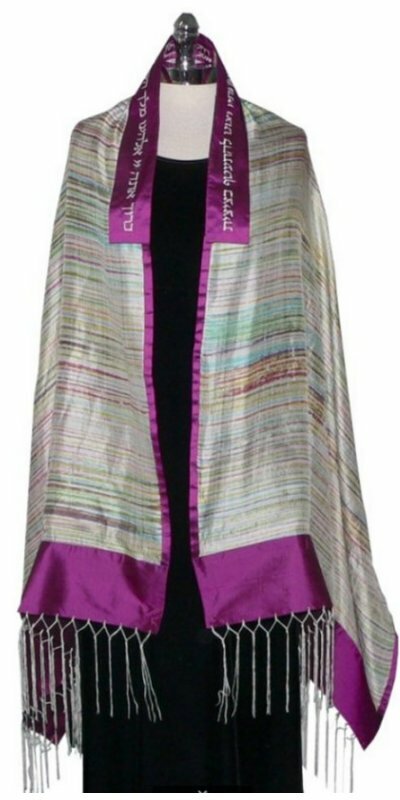 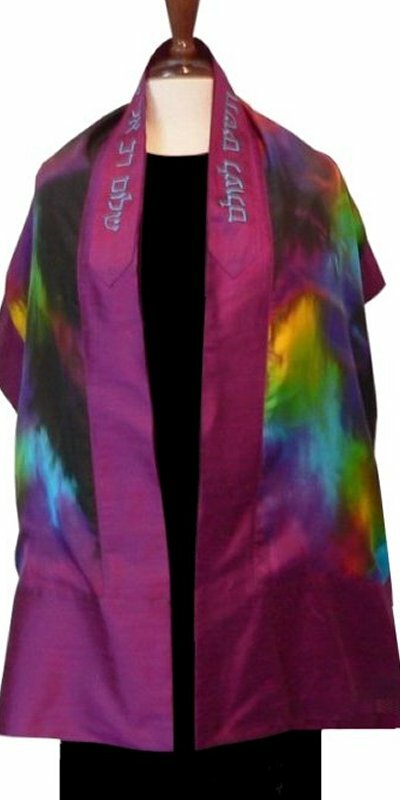 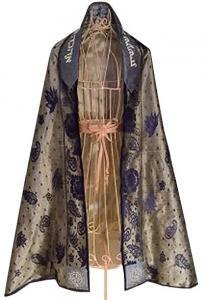 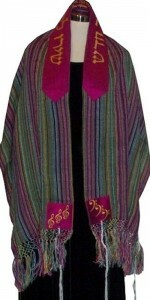 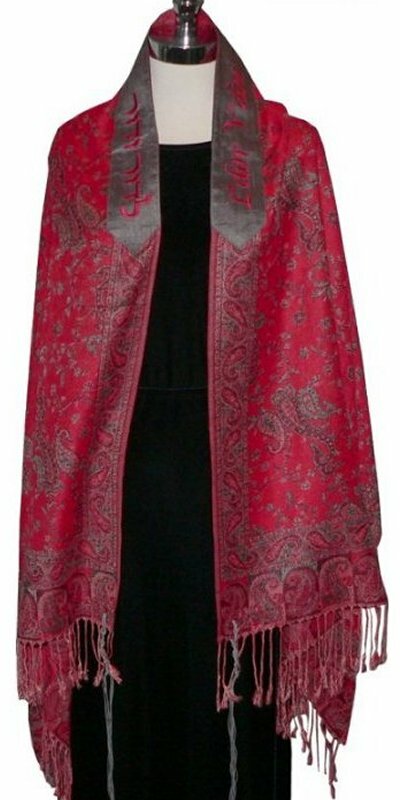 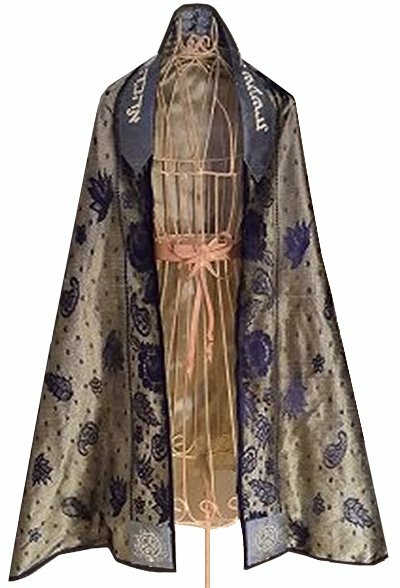 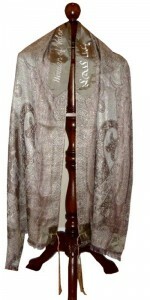 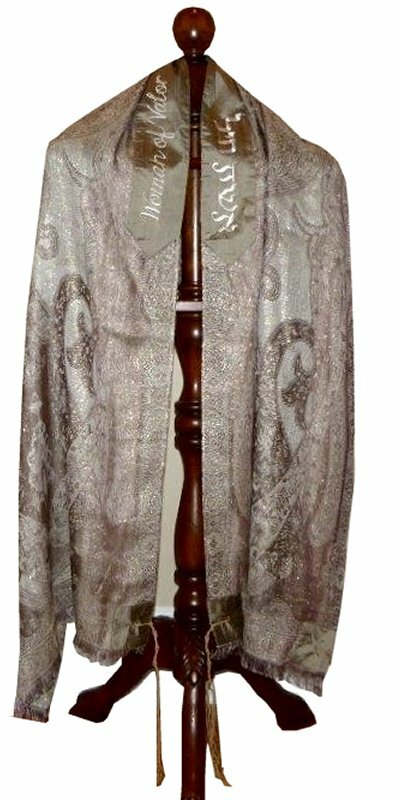 Have you ever looked at a favorite scarf or shawl and wondered if it could be turned into a beautiful tallit? 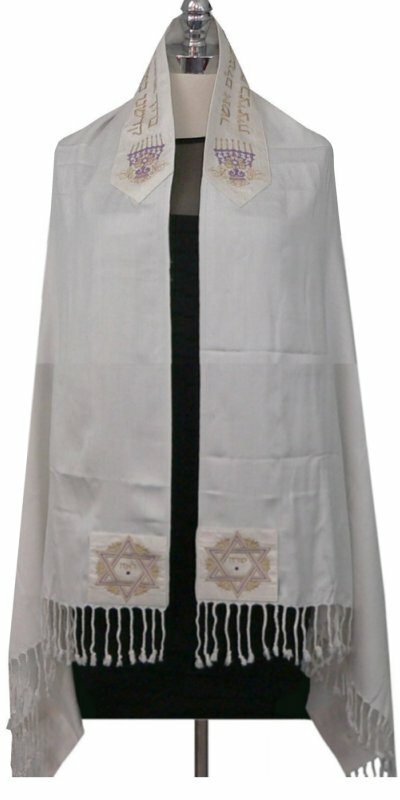 The answer is “yes it can.” According to Jewish law, a kosher tallit only needs to have four corners and tzitzit that are tied with the required number of knots and windings. There are no rules about color, size or decoration, but be aware that not all shawls are suitable, particularly if they are very loosely woven. 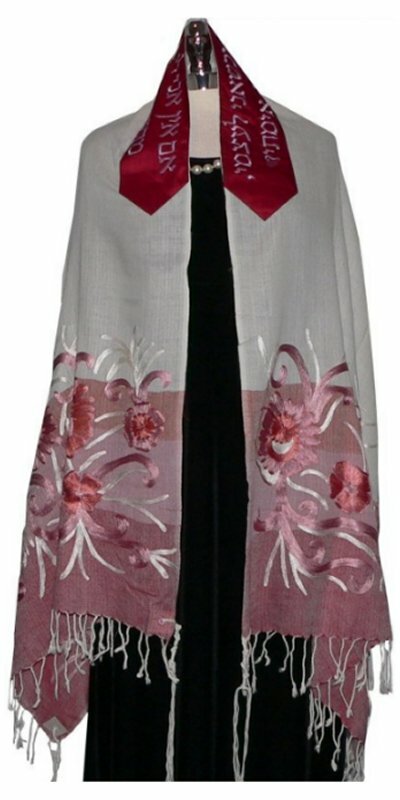 Some of the ways it can be transformed are to add a contrast binding (also useful to enlarge a scarf that just isn’t large enough! 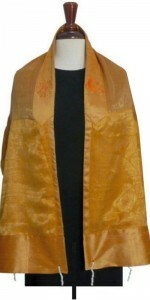 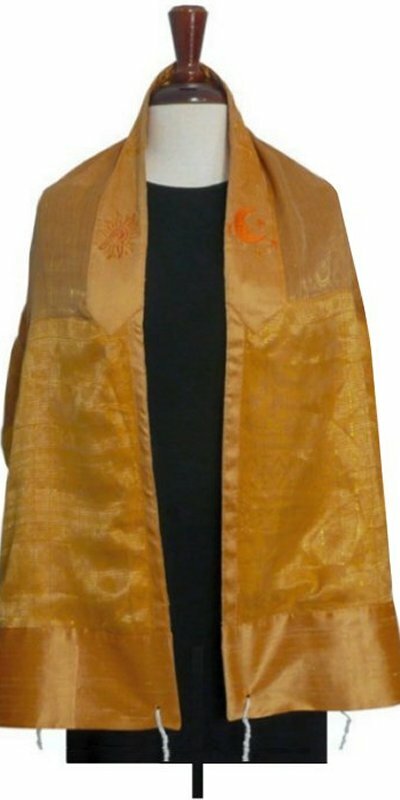 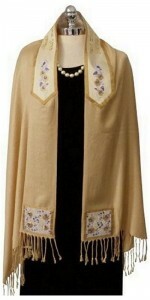 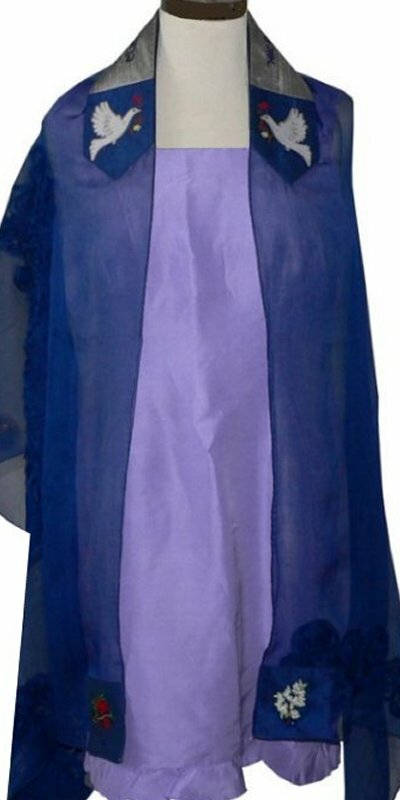 ), adding a coordinating atarah and corners, a pretty fringe or even additional embroidery. 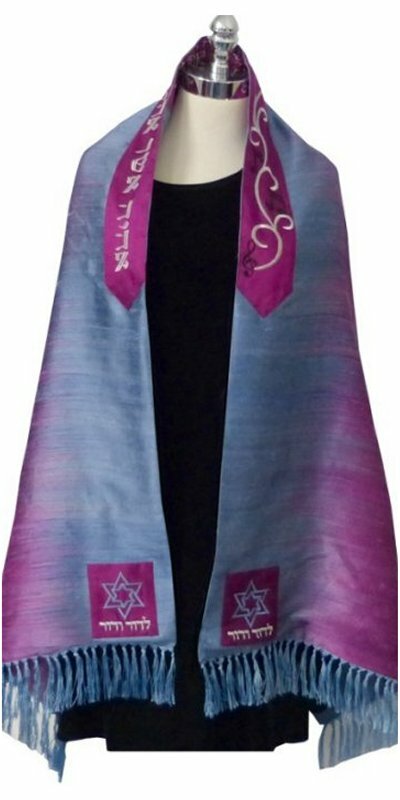 Below are a few of the tallitot I have made for customers using a garment they already owned or one that was purchased to become a tallit. 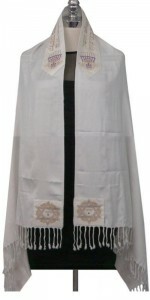 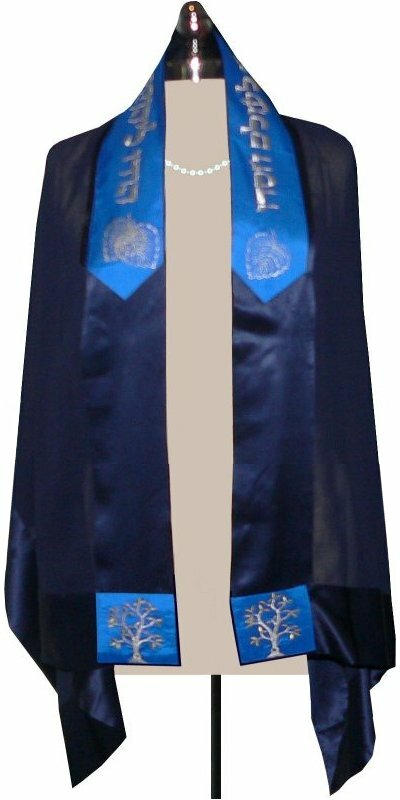 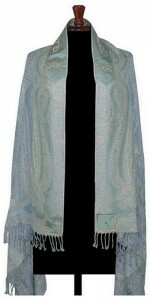 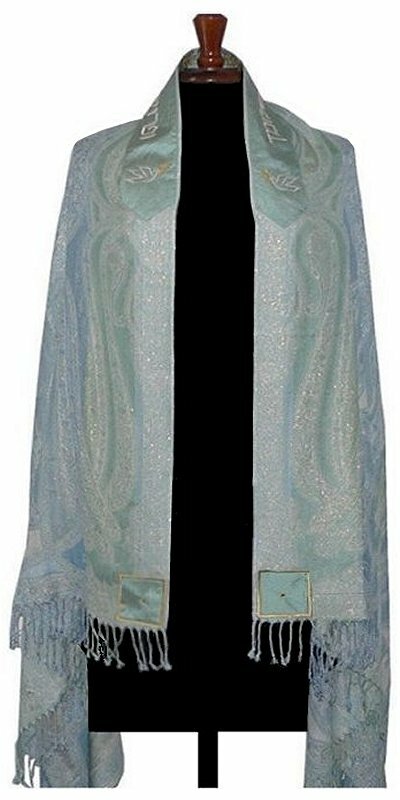 Also look here to see a Rabbi’s ordination tallit that was commissioned and made from a shawl purchased in Jerusalem.